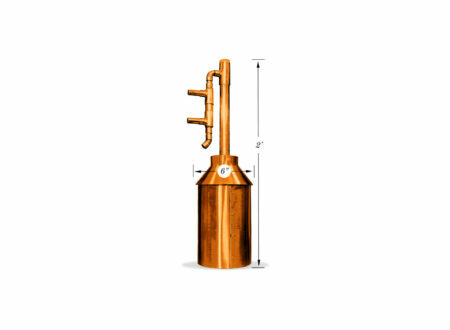 In the twenties and thirties overhead valve engines were well known to be more efficient and consequently more powerful than either side-valve engines or the hybrid “F-head” with its overhead inlet and side exhaust valve. 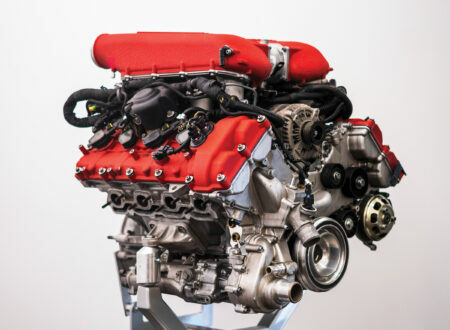 Overhead valve engines were the province of motor-sport performance engines where power was at a premium and maintenance could be intensive. But metallurgy that would enable reliability from overhead engines was still developmental and expensive. Harley-Davidson had already moved away from the hybrid F-head to the Flathead side-valve and so Harley-Davidsons were acquiring a reputation for reliability and deservedly so. 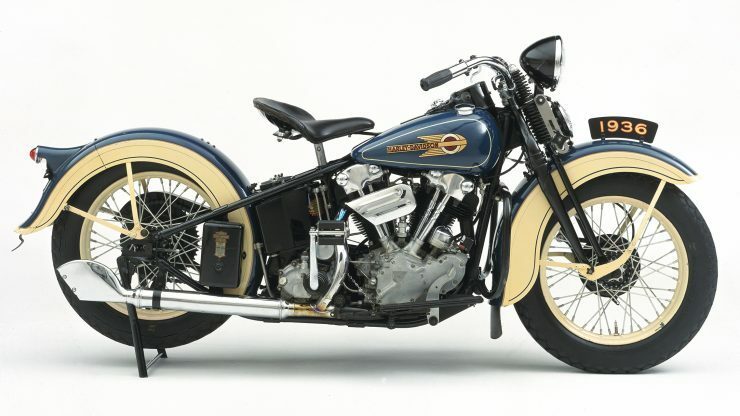 By the 1930’s Harley-Davidsons were being supplied to the US Military and other government agencies and those motorcycles were all using the bullet-proof Flathead side-valve engine. 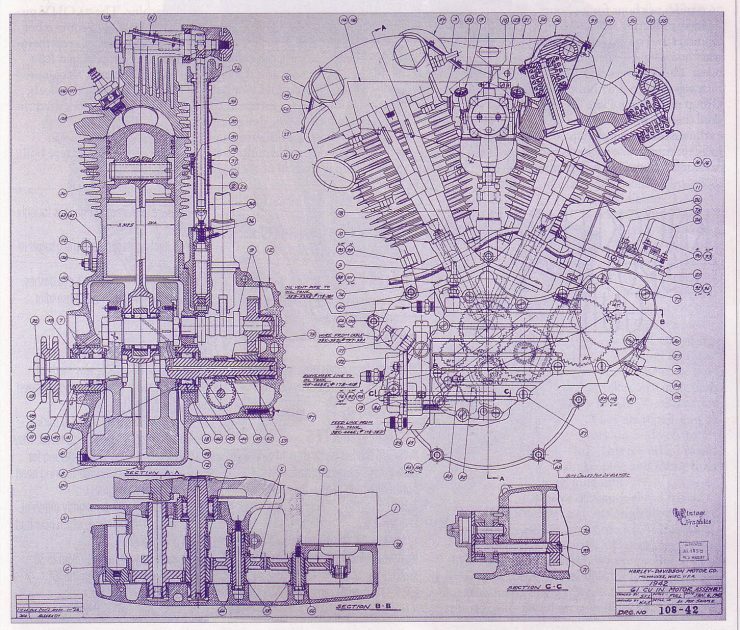 But management at Harley-Davidson wanted to get to market with a viable overhead valve engine motorcycle and William Harley created a design and got engineers Hank Syvertson and Joe Petrali to hammer out the details to create a commercially viable overhead valve V-twin engine. It’s important to realize that Hank Syvertson and Joe Petrali had not satisfactorily resolved the problems with the engine by June 1936 when Bill Harley decided to put it into production overruling their objections. So the new OHV Harley-Davidson arrived on showroom floors as the Model 61E with a new looking 61 cu. in. V-twin engine with a 6.0:1 compression ratio developing 36hp it was still pretty much a developmental prototype. The new bike looked impressive and was impressive to ride. The engine had a dry sump with a mechanical oil pump for lubrication, the clutch was a multi-plate type and the gearbox was a four-speed with constant mesh unlike Harley-Davidson’s competition Indian who’s gearbox had straight cut gears in an old fashioned “crash box”. The frame was a cradle type with twin down tubes and stronger front forks than the previous models. It looked good and it was good to ride and the bikes began to sell, and that’s when the troubles foreseen by Hank Syvertson and Joe Petrali began to rear their ugly little gremlin heads. The specific problem was oil leakage from the cylinder head covers, rather a lot of it. 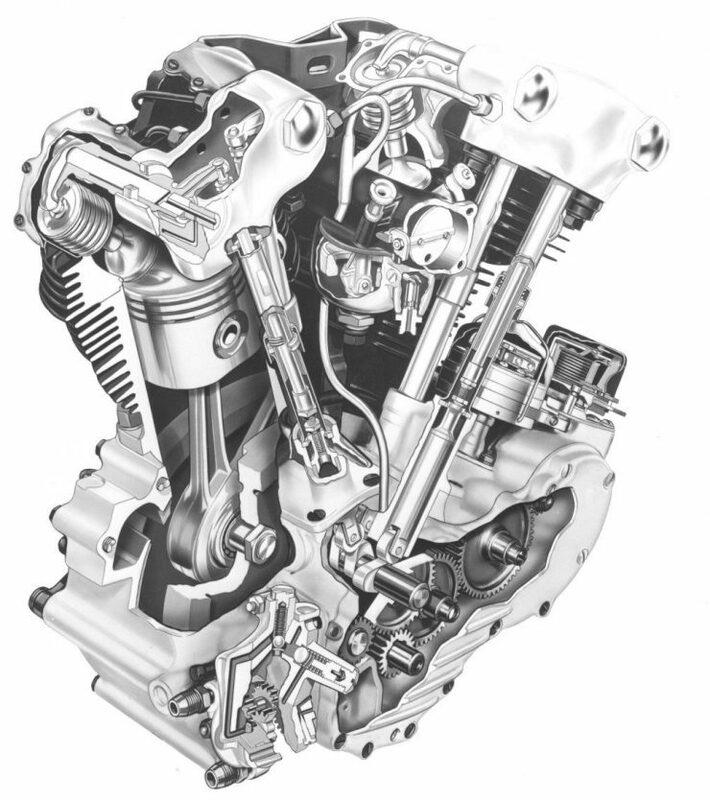 Harley-Davidson had been unable to use cast integral rocker boxes on this new OHV engine because that technology had been patented by aircraft engine maker Pratt & Whitney. So they had attempted to use separate rocker boxes bolted to the head. The shape of the rocker boxes was complex and so with the usual expansion and contraction of the cylinder heads under daily use conditions the gaskets were simply unable to keep the integrity of the seal for extended periods of time summer and winter in all the various conditions a motorcycle is typically used in. In addition to the oil leak problems the metallurgy of the exhaust springs was not sorted out in the early production bikes. This resulted in valve spring breakage. This was partly caused by the poor lubrication that was happening at the top end of the engine. About 1900 motorcycles had been sold before Harley-Davidson engineers including Hank Syvertson and Joe Petrali had the opportunity to re-design the affected areas of the engine and create repair kits to send to dealers to properly fix the faulty new bikes. For 1936 and 1937 the valve stems and springs were not enclosed because of concerns regarding overheating. It was during this time in April 1937 that Pasadena Motorcycle Police officer Fred Ham decided to see what his own Harley-Davidson Model E could do. He had carefully broken the bike in from new and to find out just how good it was he went to the Muroc Dry Lake and marked out a circular five mile course with flags and fire-pots for an around the clock 24 hour high speed ride. (Muroc Dry Lake is now the site of Edwards Air Force Base). 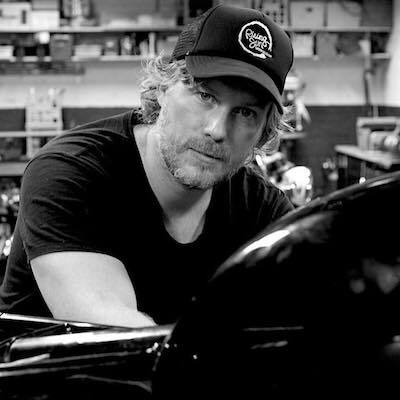 Fred Ham only stopped to fuel the Harley with gasoline and oil, to fuel himself with fruit juice, and around the twentieth hour to fix a broken chain. He managed an average speed of 76.02mph and covered 1,825 miles setting speed and distance records and making the OHV Harley-Davidson a legend. 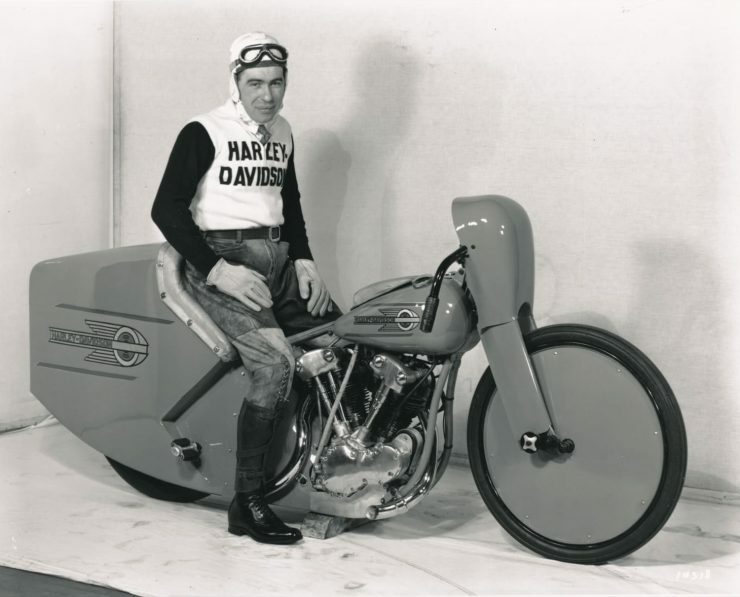 Also in 1937 Harley-Davidson engineer Joe Petrali built a modified and streamlined Model E OHV motorcycle and set a new land speed record of 136.183mph. 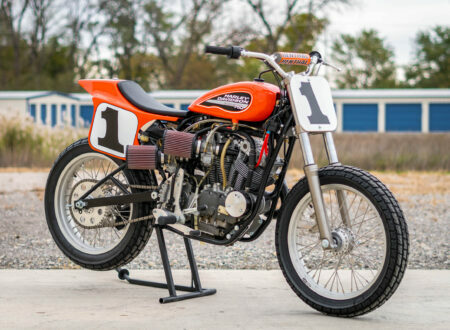 The OHV Model E had well and truly demonstrated its potential and work continued to realize the full potential of the engine and make it reliable as a Harley-Davidson was expected to be. In 1938 the design of the top of the engine was changed to a fully enclosed one. Once the design and metallurgy were sorted out the new OHV Harley-Davidson engine was able to establish its “street cred” with regular owners and riders. The name “Knucklehead” had not yet been coined. Throughout the thirties these bikes were simply known as the Model E or as overhead valve Harley-Davidsons. 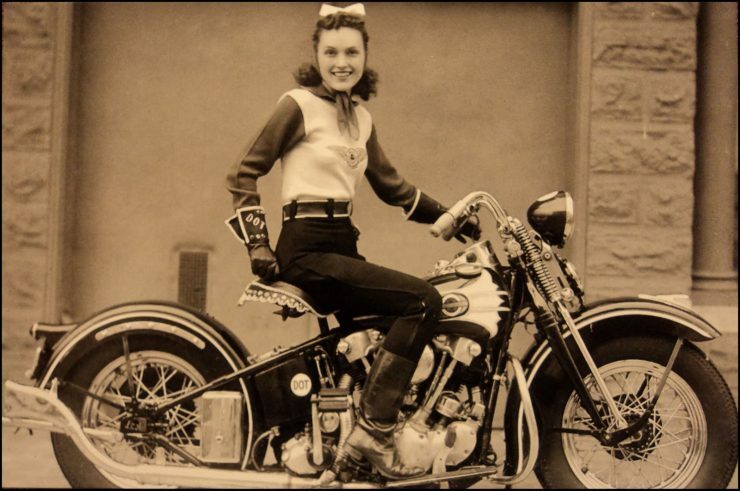 In 1939 as the war was brewing in Europe improvements were still being made to the Harley-Davidson Model E, in that year the valve springs were made stiffer and then in 1940 the flywheel diameter was increased to 8½”. In 1941 the engine’s capacity was increased to 74 cu. in. and the model was called the FL. 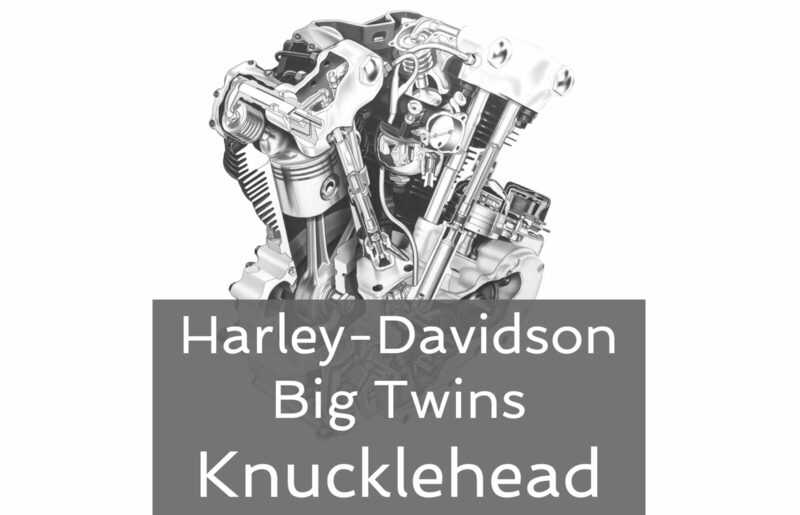 In 1945 Harley-Davidson introduced a new engine that would come to be known as the “Panhead” and somewhere in that post war period the older OHV engine began being referred to as a “Knucklehead” because of the shape of the top covers of the engine. If you have the chance to look at the cylinder head of one of these engines removed from the bike and stripped down you’ll notice that it actually looks like it has knuckle-shaped protrusions on it. 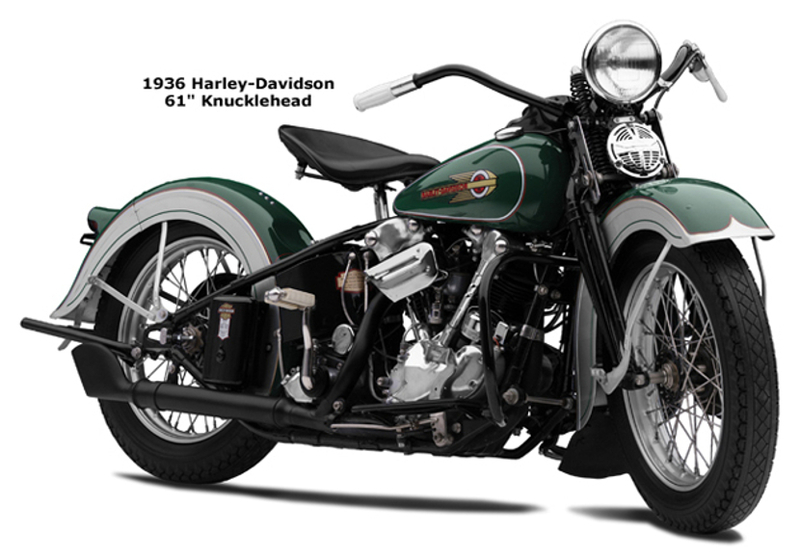 The Harley-Davidson “Knucklehead” began life as a semi-experimental prototype that was made into a full production bike before it was really ready. In the depression era thirties environment that was a bold move on the part of Bill Harley but he was fighting to keep his company going even as he watched his competitors go under one by one leaving only Harley-Davidson and Indian still standing. These OHV bikes were not the agricultural style of the side-valve military WLA. 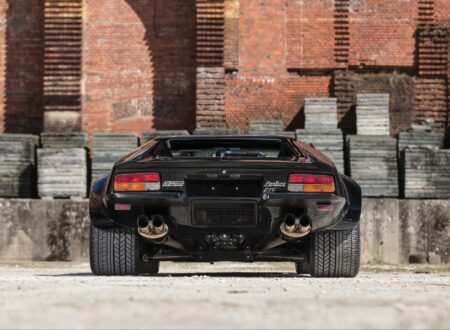 They were much more sophisticated and built for the civilian enthusiast market. 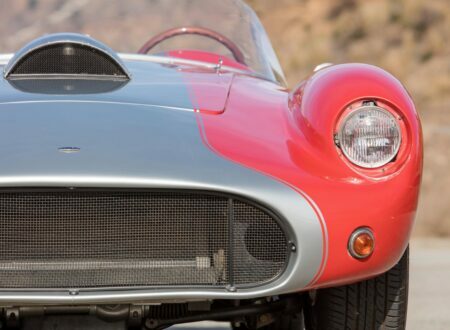 In the present day these are collectible machines and very desirable. Early 1936-1937 bikes underwent many design changes and those changes are not just limited to the cylinder heads and covers. As a result restoring one of these bikes can be a challenge as parts can be “one off” and so replacements are made of “unobtainium” and either have to be made from scratch or a substitute might have to be modified and fitted. 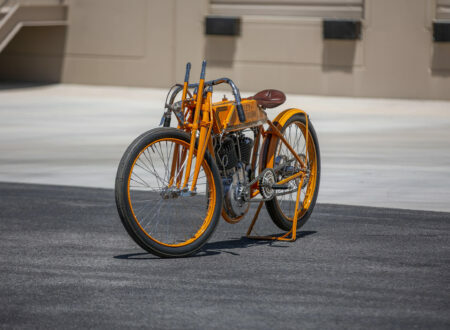 With the speed record set by Joe Petrali and the 24 hour speed and endurance record set by Fred Ham in 1937 these bikes became high profile and highly desirable. A desirability that has not faded with time.